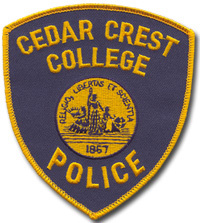 It is the mission of the Cedar Crest College Campus Police (hereinafter “Campus Police ”) to serve our College community with pride, respect and dignity in our daily service to Cedar Crest College, its faculty, staff, students and guests, and to carry out our duties with professionalism, courage and strength. Cedar Crest College has 1,433 undergraduate and 231 graduate students enrolled in classes, during the fall semester of the 2017/18 academic year. 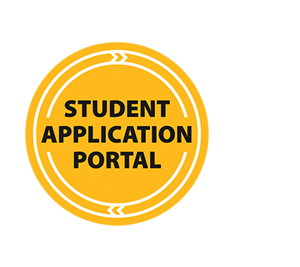 The College has 457 undergraduate students and 13 graduate students living in campus housing, during the fall semester of the 2017/18 academic year. There are 427 non-student employees working on campus: 75 full time faculty, 12 part time faculty, 131 adjunct faculty and 151 full time and 58 part time staff members. The primary function of the Cedar Crest College (hereinafter “CCC”) Campus Police is to provide for the safety and welfare of all the members of the College community and others who are on campus. The Campus Police currently consists of 14 full- and part-time officers. Officers are trained in CPR, First Aid and the use of an Automated External Defibrillator (AED) through the American Red Cross. Updates and re-certifications are taken as necessary. Additional courses in crime prevention, criminal investigation and narcotics are always encouraged. 4 Dispatchers are on staff. Dispatchers are on duty 24 hours a day and act as the main switchboard operators for the college. Dispatchers receive calls for assistance and promptly relay information to the patrol. In the event of an emergency, members of the College Community can contact CCC Campus Police by pressing “0” or extension 3522 from any campus telephone. There are also 15 emergency call boxes placed throughout the campus which dial directly to the Campus Police office and are easily found by the blue lights that are located atop the call boxes. When an emergency call box is activated, the blue light flashes which helps to identify the location of a call for assistance. Patrols are maintained with two readily identifiable Ford Interceptor SUVs. The patrol vehicles contain basic medical/first aid equipment, fire extinguishers, flares and traffic cones. The College utilizes a marked all-terrain vehicle for patrol in areas not easily accessible in a full-size street vehicle. Bicycle patrols with officers in distinctive uniforms also patrol the campus. These environmentally friendly patrols provide visibility and community oriented policing throughout the spring, summer and fall seasons. Foot patrol is encouraged on campus and inside buildings. Officers on foot are more visible which results in one-on-one contact and encourages a working rapport with the College community. Buildings and grounds are patrolled to determine the presence of unauthorized persons, observe any safety violations and the general condition of College facilities. Roadways and parking areas are patrolled to ensure compliance with the College Traffic and Parking Regulations. Buildings are locked/unlocked according to schedules. Specific requests for access to certain areas or rooms are accommodated as authorized. Violations of College regulations, as well as the laws of the Commonwealth of Pennsylvania, are dealt with in accordance with local, state and federal statutes.